Anyone who is actively building muscle has made mistakes in the past. Let's face it, we are bound to make mistakes in life but what we can do is learn from them and try to improve. If you keep repeating the same mistakes, you'll definitely hamper your muscle building goals. Here are 12 ways you can sabotage your objectives. Eating a balanced meal is vital for optimum performance and results. You need carbs, protein and fat in your diet but the right amount is crucial. You can't eat too many carbs nor too little protein or vice versa. If you eat only protein, your muscles will look flat as a pancake. If you eat only carbs, you won't be able to build muscle effectively. You can't omit fats totally from your nutrition. Your body needs fats(the good kinds like omega-3s) to function properly and the latter also aids in protein synthesis. So a proper ratio of carb/protein/fat should be considered. Weightlifters usually recommend 40% for carbs, 40% for protein and 20% for fat. This is only a general guideline, you can tweak it but stay close to these percentages. If you're really serious about building muscle, you should avoid skipping meals. If your diet is lacking calories, you simply won't grow as you should. You can't be erratic in your eating routine. Consistency is key for great results you can be proud of. 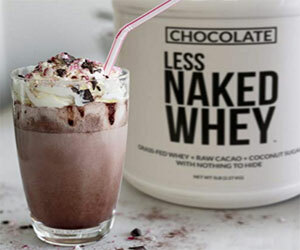 If you are too busy to make a meal, you can gulp down a quick whey protein shake. It's better than nothing. Supplements are handy and convenient and can definitely help you achieve your goals but they should only be used sparingly and an ideal time to use them is post-workout where a liquid meal is favored. If you have 6 meals a day, it's not recommended to have 4 protein shakes for instance. Your body needs real muscle-building foods if you want to make solid gains. If you're not getting adequate sleep and rest, it's a bad idea to go training as your performance at the gym will greatly suffer and you won't be able to give the best out of yourself. End result is poor gains afterwards. Also, it's during sleep that your muscles grow so if you aren't getting enough rest or sleeping too late, you are hindering your muscle gains. 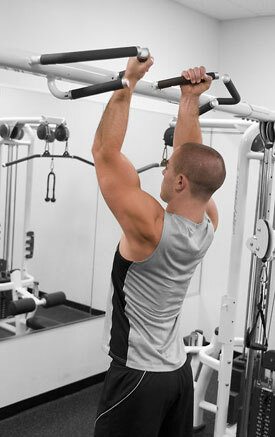 If your goal is to build muscle, performing too much cardio will impede this process as you can experience muscle loss. If you are lifting weights 4 times per week, do cardio only once or twice on different days. If you want some serious muscle mass, stop focusing on isolation exercises like bicep curls. Add more compound exercises like deadlifts, bent-over rows, bench press, military press, squats, pull-ups, pull-downs, dips, push-ups and so on. If you don't feel that burning sensation in your muscles, it means you are not training intensely enough like not doing enough sets or reps. Just doing 1-2 sets for one muscle group and call it a day won't give you the desired muscle gains you're coveting for. Overtraining can really hinder muscle growth. If you don't give your muscles sufficient time to recover after a workout, you'll have a hard time developing them. For example, if you just hit your biceps on Monday, don't hit them again the next day. Check out this article "Overtraining and Muscle Growth" for more in-depth tips and advice. There is nothing more annoying than getting interrupted during your training session not for a few seconds, but for several minutes. Even 3-5 minutes pause between sets can be counterproductive for muscle building. Once you get the initial pump, blood starts rushing into your muscles and you should only rest 30-45 seconds and resume with the next set. It's important to keep the blood flow in your muscles and the best way to do that is not losing the pump during your workout. Taking a long pause between sets is a sure-fire way of losing that pump. The pump is usually a good indicator of an effective workout. After a grueling workout, it's crucial to refuel your body as your muscles are depleted and your energy levels are low. What you need is fast-acting carbs like dextrose to replenish your drained muscle glycogen stores and some fast-acting whey protein isolate to repair and rebuild depleted muscle tissues. If you don't feed your body properly after a workout, most of your hard work will be in vain. Some people complain they barely have energy to perform their workout. There is usually a good reason for that. These people have eaten a meal like 3-4 hours ago and it's quite long. Try having a meal one hour and a half before your workout. A great meal idea is some brown rice and chicken breast or tuna with some olive oil. Eating is the most important part of any muscle building routine. If you don't eat enough food, you won't build muscle mass and grow. Nutrition is 75% of bodybuilding, yes it's that important. If you're not eating properly, you are simply wasting your precious time, therefore it's vital that you plan your meals and do frequent trips to the grocery stores. You should always have food available. There you have it. If you don't pay attention to these 12 muscle building mistakes, you can have a hard time gaining muscle mass.